What’s the Difference Between the Rolex Explorer and the Explorer II? 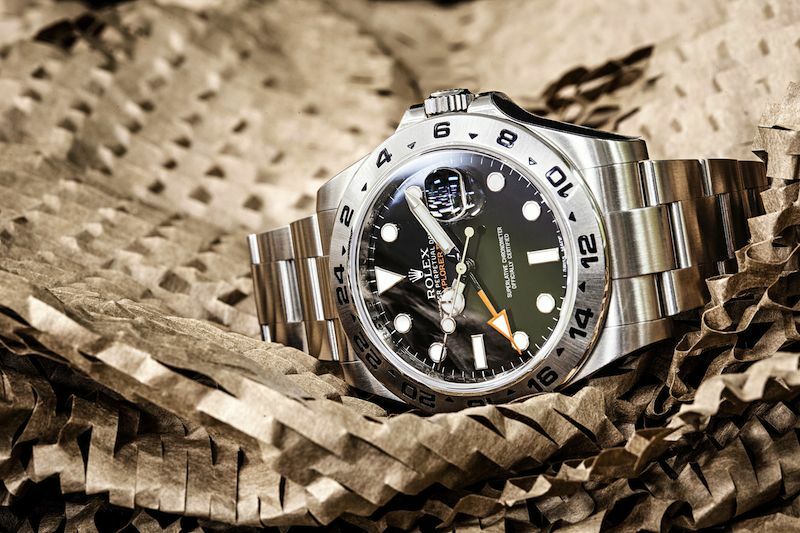 They may share a similar name and a comparable adventurous spirit, but the Explorer and the Explorer II models are very different Rolex watches. If you’ve ever wondered what’s the difference between the Rolex Explorer and the Rolex Explorer II, read on to find out. 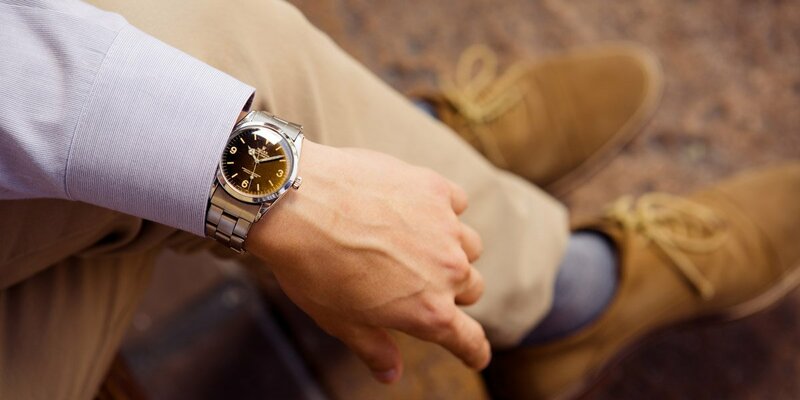 In 1953, Rolex launched the Explorer watch as a tribute to one of mankind’s most important expeditions—Sir Edmund Hillary and Tenzing Norgay’s ascent to the summit of Mount Everest, the planet’s highest mountain. 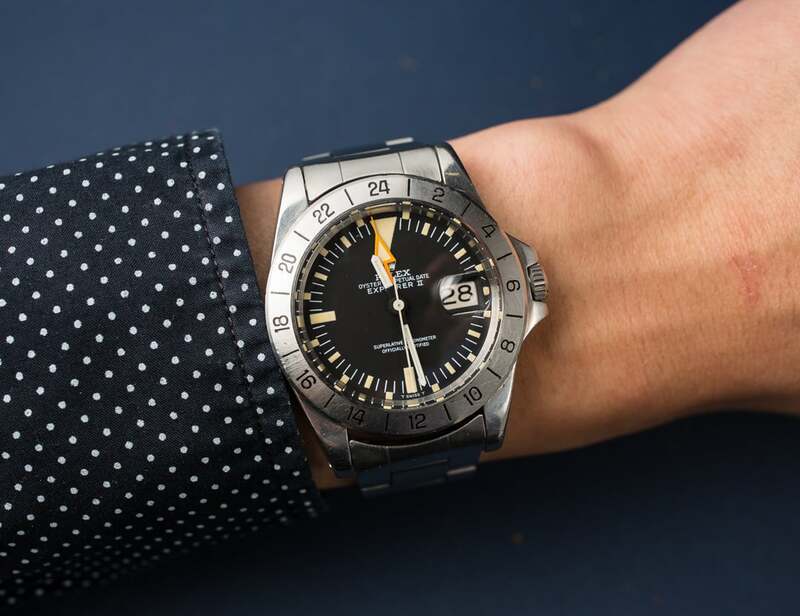 Aptly named the Explorer, the watch featured tough stainless steel construction, a highly legible dial, and a waterproof case also resistant to temperature swings. In 1971, Rolex launched a new watch they dubbed Explorer II. This time around, rather than marketing it to mountaineers, the Explorer II watch targeted spelunkers and polar explorers—i.e. adventurers that spend plenty of time in the dark or in areas with irregular sunlight hours. 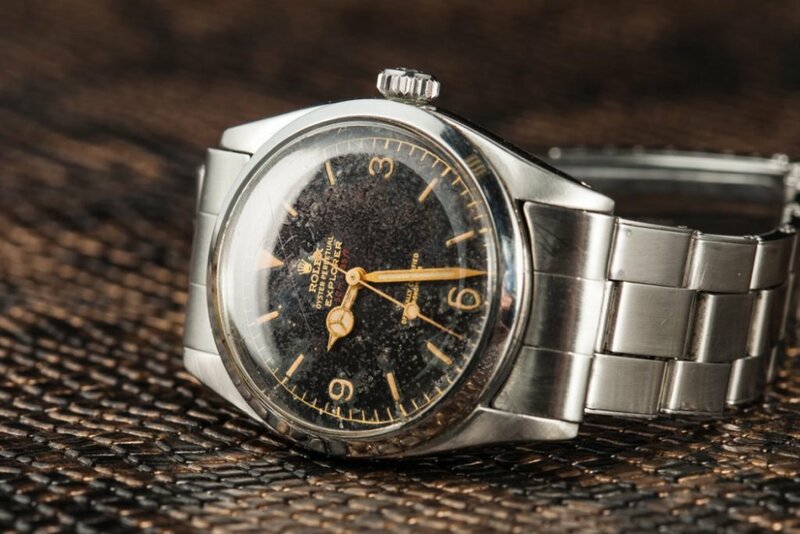 As such, the Explorer II offered an extra 24-hour hand, a 24-hour marked bezel, and a highly luminous dial so that wearers could always differentiate between day and night hours regardless of their surroundings. In terms of functionality, the Explorer and the Explorer II vary greatly. The Explorer is a simple time-only Rolex model with center hour, minute, and sweeping seconds hand. On the other hand, the Explorer II includes a few other complications. First, there’s a date window at 3 o’clock. Then there’s the extra 24-hour hand on the dial. It’s important to note that on the inaugural Explorer II, the ref. 1655, this extra triangular-tipped hand was simply an AM/PM indicator since it’s synced to the main hour and minute hands. However, from the second generation of the model onwards, the Explorer II became a GMT watch since the 24-hour hand is set independently from the center hour and minute hands. 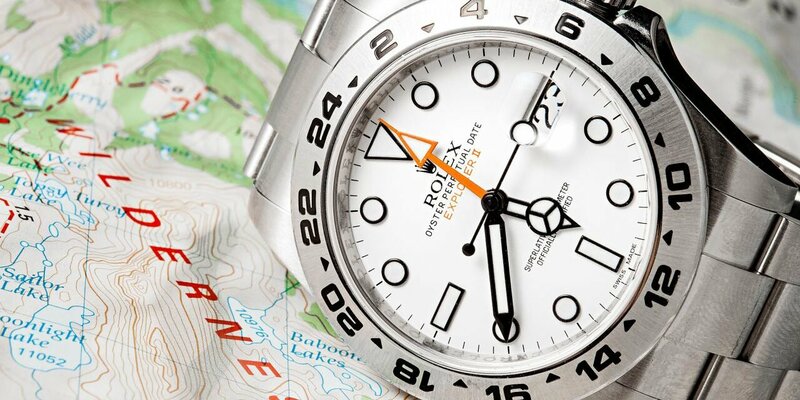 As tool watches for the adventure-set, Rolex has only ever produced the Explorer and the Explorer II in stainless steel. Furthermore, both models include Mercedes-style hands (except for the first Explorer II ref. 1655), Oyster cases water resistant to 100 meters, and Oyster bracelets. The Explorer II began its life as a 36 mm Rolex watch and continued as such for decades until the introduction of the ref. 214270 in 2010, when the watch grew to 39 mm. Conversely, the Explorer II started out as a 39 mm Rolex watch, then grew to 40 mm with the 16550, and finally grew again to 42mm with the ref. 216570. The Explorer is equipped with a black dial with 3, 6, and 9 numerals sitting alongside stick/baton indexes. In fact, this dial design is referred to as the “Explorer-style” dial. While the first Explorer II ref. 1655 was only available with a black dial, Rolex offered both black and white dials on all subsequent Explorer II references. The extra 24-hour hand began as orange, then Rolex changed it to red before changing it back to orange on the newest version. Both the Explorer and the Explorer II share a spot in Rolex’s current catalog since they are such different watches. The former is a straightforward time-only watch with an entry-level price tag and restrained size while the latter is more expensive thanks to its added functionality and larger size. 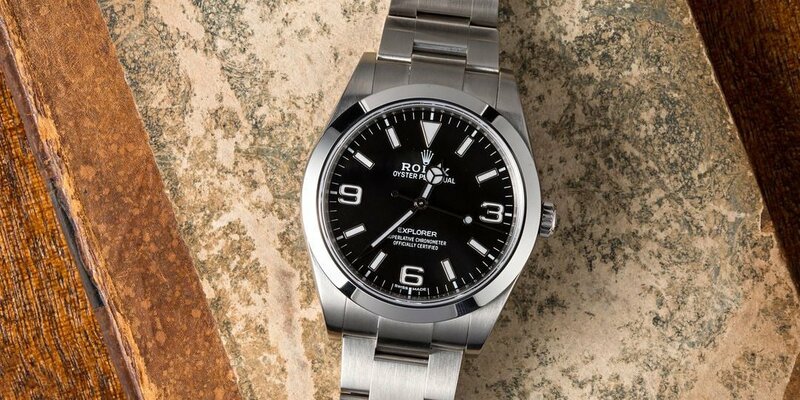 Regardless of which model you opt for, both the Explorer and the Explorer II are Rolex watch icons that seamlessly marry utility, durability, and looks.